Civil Service Commission Bicol has released the list of passers for the professional and subprofessional exams held on December 15, 2013. Thirty-seven individuals passed the professional exams, while seven hurdled the subprofessional exams. 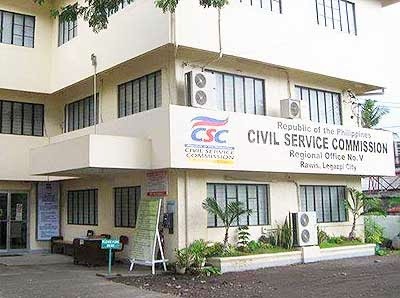 For the professional level, the areas covered by the exams are vocabulary, grammar and correct usage, paragraph organization, reading comprehension, analogy, logic, and numerical reasoning, general information questions on Philippine Constitution; Code of Conduct and Ethical Standards for Public Officials and Employees (R. A. 6713); peace and human rights issues and concepts; and environment management and protection. On the other hand, for the subprofessional level, tests aspirants on vocabulary, grammar and correct usage, paragraph organization, reading comprehension, clerical operations, numerical reasoning, general information questions on Philippine Constitution; Code of Conduct and Ethical Standards for Public Officials and Employees (R. A. 6713); peace and human rights issues and concepts; and environment management and protection.